The struggle for North Africa was unlike any other campaign of World War II. The desert proved a real test of generalship, pitting Germany's Erwin Rommel against Britain's Bernard Montgomery and America's George Patton. 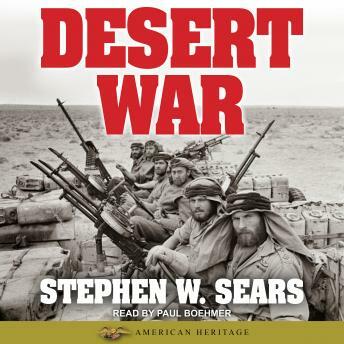 Here, from award-winning military historian Stephen W. Sears, is the dramatic story of the generals, politicians, and soldiers who changed the course of the war.